904 and part of 902 Fayetteville St., 1962. 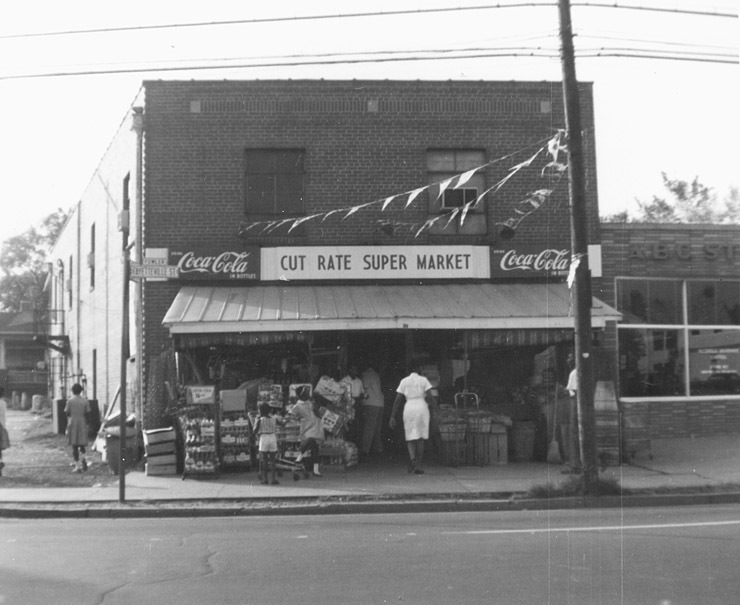 The above picture most clearly shows 904 Fayetteville St., a commercial structure built in the late 1940s or early 1950s as a grocery store; it originally housed the Cut Rate Super Market, and, by the 1960s, Quality Foods Super Market. 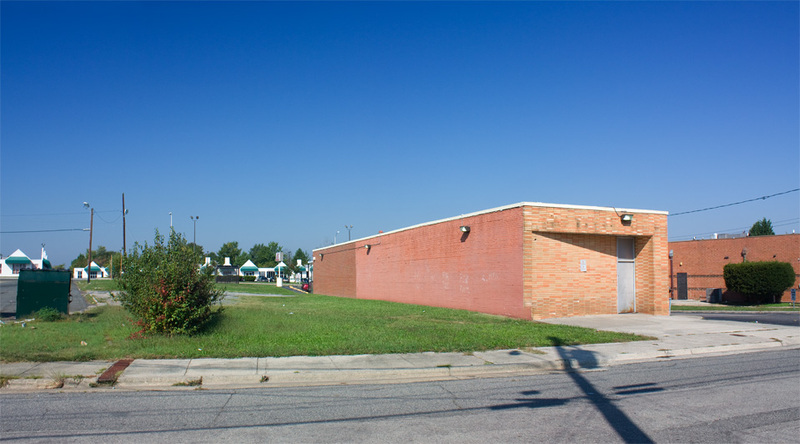 To its right in the above picture is a partial view of the ABC Store, built between 1954 and 1957. The supermarket building appears to have still been in existence by the mid-1970s. I'm not sure when it was demolished. Surprisingly to me, the ABC store is still here. Although its entrance has been shifted to the former back of the store, to face the 'new' Fayetteville St., the original facade (minus the lettering) remains. It is thus the only structure other than St. Joseph's on 'old' Fayetteville St. to survive urban renewal.